This has to be one of the WORST mowing jobs I've ever seen. The kid is PLAYING Trump for a FOOL. SAD! At least he is doing it for free. Can't say no to a capitalist win. Mowing job is twice as good as his dads pants. He could probably fit both legs in one pant leg! Seriously though, need a bit more overlap on your mowing kid! SMR 510RR wrote: Mowing job is twice as good as his dads pants. 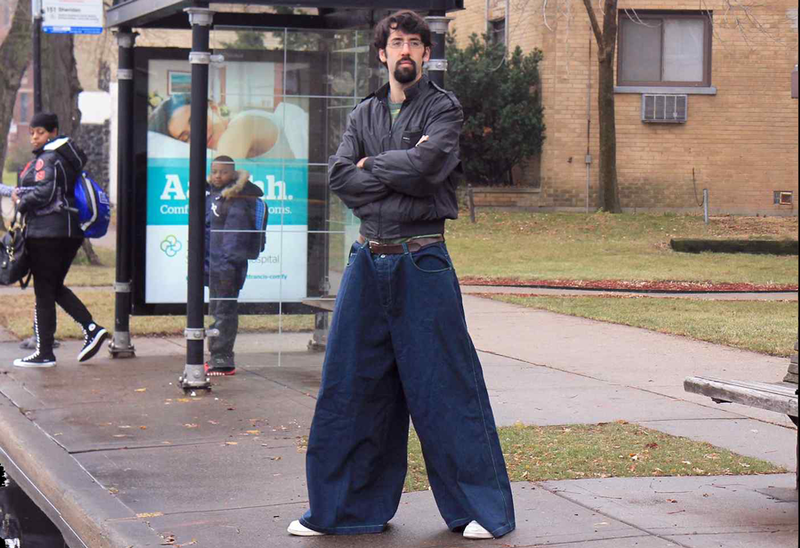 He could probably fit both legs in one pant leg! I'm sorry, and you probably won't like it, but this is what peak performance looks like. I mean the practical nature of having a tent big enough for a small family with you all the time is appealing. They also allow room for the big balls he has for wearing them in the first place. He has a pretty determined look on his face, wide stance and all.